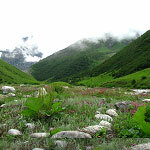 Home › Valley of Flowers National Park, Uttrakhand, India › How to reach Valley of Flowers ? 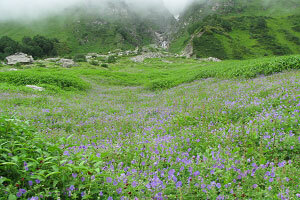 How to reach Valley of Flowers and Hemkund Sahib. 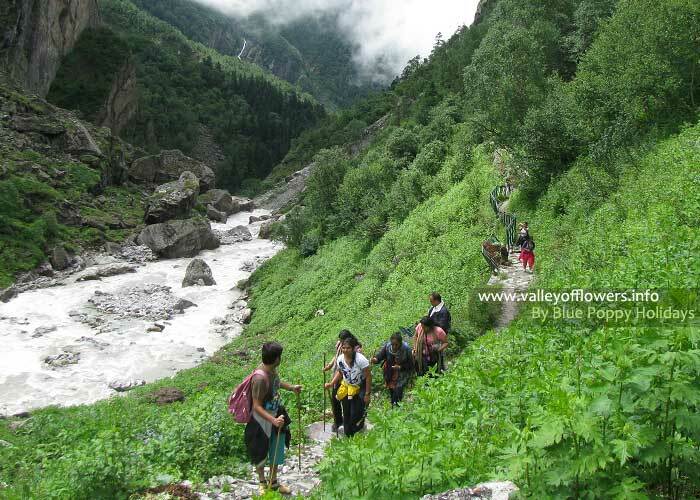 Valley of Flowers is a remote place and one should know in detail about how to reach Valley of Flowers to plan a trip to this place. The last rail head is Rishikesh but no express train goes to Rishikesh so the last rail head becomes Haridwar. One needs to start the road journey from Haridwar early in the morning so as to complete the total motor able part of the journey in a day. To reach Haridwar you can come by train, bus or air. Haridwar is connected to Delhi by road and train both. Nearest airport is Jollygrant at Dehradoon. The airport is nearly 45 km from Haridwar. The common mistake people do is they book their flight tickets up to Delhi instead of Dehradoon and reaching from Delhi to Haridwar takes almost one day by road. After reaching Haridwar one can travel by road to Govindghat. 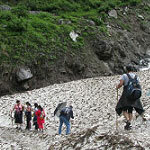 Govindghat is the starting point of the trek to The Valley of Flowers. On the way to Govindghat you can see some confluences of rivers. First will be Devprayag, it is the confluence of Alaknanda and Bhagirathi. 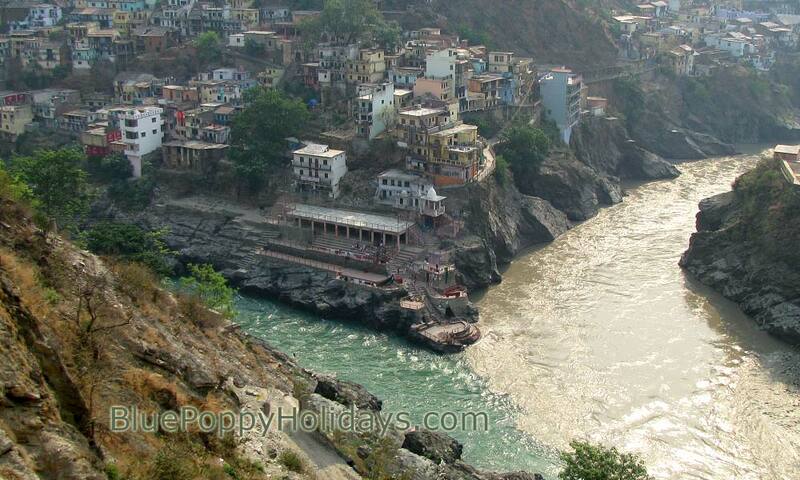 After Devprayag you can see Rudraprayag, it is confluence of Alaknanda and Mandakini . At Vishnuprayag Alaknanda meets Dhauli River. Rudraprayag the confluence or river Alaknanda and Mandakini. The left river is Mandakini. 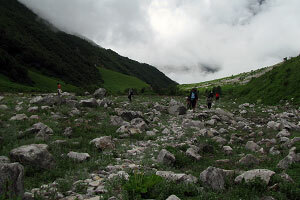 After staying at Govindghat for one night you will trek to Ghangaria. 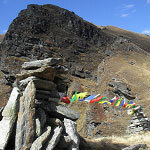 Ghangaria is at a 14km from Govindghat and the trek is quite steep and it takes almost the full day to reach Ghangaria. 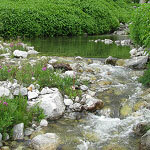 You need to stay at Ghangaria only as camping is not allowed inside the Valley of Flowers. 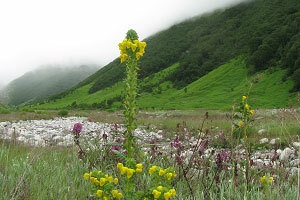 Next day you can trek to Valley of Flowers from Ghangaria. The entry gate opens at 7.00 am and last entry is allowed till 2.00 pm. You need to get out of the Valley by 5.00 pm. 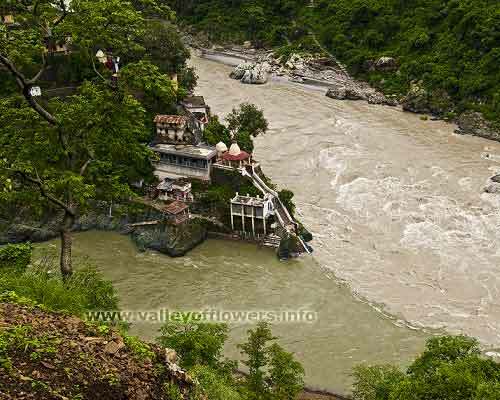 Haridwar to Govindghat is a motor-alble road and tempo traveler is a good option. 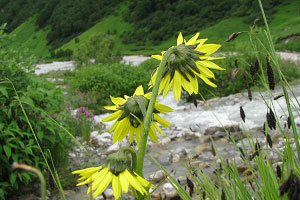 Important data that will help you in reaching Valley of Flowers. Day 1 Haridwar to Govindghat – Distance travelled by road 300 km – time taken 10-12 hours. Day 2 Govindghat to Ghangaria – Distance travelled by trek/ponies 14 km – time required 8-10 hours by trek 5-6 hours by ponies. Day 3 Ghangaria to Valley of Flowers and back to Ghangaria – trek of 5-8 km one side inside to Valley of Flowers and back to Ghangaria. It will take one full day. 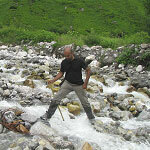 Day4 Ghangaria to Hemkund Sahib and back to Ghangaria – 6 km steep trek one side. You can use ponies at least while going uphill. It requires one full day. The last rail head is Rishikesh but no express train goes to Rishikesh so the last rail head becomes Haridwar. One needs to start the road journey from Haridwar early in the morning so as to complete the total motor able part of the journey in a day. 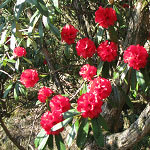 Detailed day wise itinerary for the trek to Valley of Flowers. The distance to be covered, altitude gains and mode of transportation to be used has been given in this page. This itinerary has been designed using our years of experience. You may also follow the same. Detailed analysis of what is the best time to visit Valley of Flowers with picutes and videos of the valley in different seasons. Valley of Flowers is accessible only for four months in a year and changes its colors, weather and the flowers very rapidly in these four months so it is very important to know what is the best time to visit Valley of Flowers. 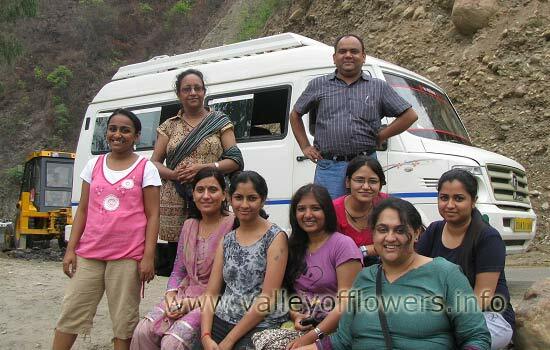 Valley of Flowers is our passion and we started this site as a hobby and we have started organizing tours to the valley 5 years back. The author of this website Mr Devkant Sangwan accompanies you to the valley personally so that you do not miss out anything. Read our upcoming tours to the valley and if interested to join us please contact us. Photo gallery of valley categorized according to flowers with their colors (Detailed properties, flowering season and where you will find these flowers in the valley has also been given), landscape gallery, gallery of earlier groups taken by us to the valley. These group galleries are also important to decide about the best time to visit as you can see the landscapes in the background in different dates. 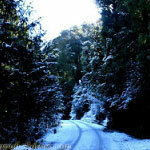 A must visit page to see the real beauty of the valley. 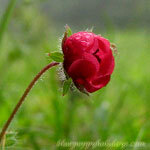 Vajardanti, Potentilla Flower in the Valley of Flowers.